You can feel confident when Ellis Injury Law agrees to represent your Hermosa Beach car accident case; we win 99% of the lawsuits we pursue! 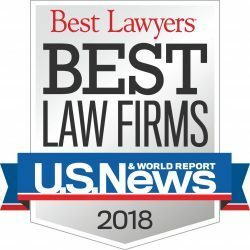 We’ve secured over $350 million for our clients – most through out-of-court settlement, which saves money for our clients and expedites results. 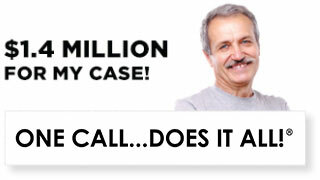 However, our experienced car accident lawyers know when it’s time to prepare for trial to secure maximum compensation. Working with a civil lawyer can be very empowering because, ultimately, you have the power to decide how you’d like your claim to proceed. Get help. If you’ve been involved in a car accident, call 9-1-1 and seek medical attention promptly. Failure to do so could result in a dispute with car accident insurers who may claim your injuries are less serious than they really are. Calling the police will secure the scene, help you gather evidence, conduct sobriety tests, and issue citations if necessary. Collect evidence. If possible, try to get the names and contact information of any witnesses. Get photos of the accident scene and vehicle damage. Maintain a file with all medical bills, out-of-pocket expenses, diagnostic test results, and lost wage information. Sketch a quick diagram of the accident scene, including notes about speed and weather conditions. Report it. According to the California Vehicle Code 16000, if the accident results in $1,000 worth of damages or more, you need to fill out the SR-1 Report of Traffic Accident form with the California DMV within 10 days. You’ll also need to call your insurance provider to report the accident – even if it wasn’t your fault. Some companies — like State Farm, GEICO, Allstate, Nationwide, and Progressive – offer free reporting apps to expedite the process. Dispute it. California is one of the “at-fault” states, meaning that the “at-fault” driver’s insurance is responsible for paying to resolve all damages. Even if it is determined you were partly to blame, you can still seek compensation, though the amount you receive will be reduced by your percentage of liability. It is possible the other motorist will try to blame you for the crash to evade responsibility, which may result in denial of your insurance claim. You may need a Hermosa Beach car accident attorney to help. Your injuries were moderate to severe – Broken bones, deep lacerations resulting in scarring, head trauma, spinal cord damage, organ perforations, loss of body parts, third degree burns, and fatalities are all reasons to call an attorney at once. Once you’re in a car accident, you’ll need to file a claim with your insurance company and the at-fault party’s insurance carrier as well. If your injuries are likely to cost more than $15,000 and your property damage over $5,000, a legal representative can help. You want to know what happened – Insurance claims adjusters are interested in saving their employers money. 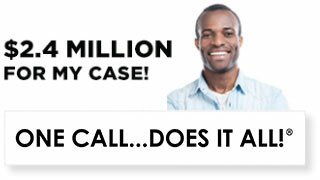 They are likely to offer you the lowest possible settlement for your injuries. You may never know what really happened in the crash – how much liability insurance the other driver has, whether the driver admitted fault, or if there is a past history of reckless driving or arrests. Attorneys are able to access sensitive information using subpoenas, discovery motions, and requests for production of documents. The crash investigators hired by Ellis Injury Law are second-to-none. Finding out the factors that led to the crash can aid both your physical and financial recovery. You’re not sure how much your case is worth – Compensation for future expenses is one of the more important allowances in a personal injury lawsuit. Certain types of injuries, like whiplash, may have latent symptoms that manifest much later. Soreness can escalate to headaches, severe pain, swelling, numbness or tingling, changes in personality, and confusion. Surgeries you have today could lead to the need for future surgeries. Scars may need cosmetic treatment years down the road if they do not heal optimally. After dealing with thousands of cases like yours, an Ellis car accident lawyer will advise you against settling for less than your case is worth. 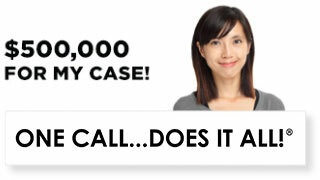 Ellis Injury Law offers a “no fee guarantee”, meaning that we collect NO UPFRONT MONEY for car accident lawsuits. If you win a settlement or jury award, an agreed-upon percentage will be collected to reimburse your car accident attorney. 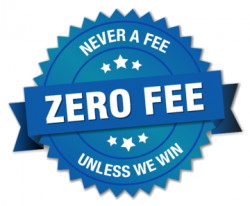 If we fail to win money on your behalf, we accept no payment. You have nothing to lose and everything to gain in exploring your legal options. Keep in mind, the state of California generally allows up to two years from the date of the accident to file your claim. There are exceptions when minors are involved or when the nature of your injuries manifest much later, but the sooner you start your claim, the better.